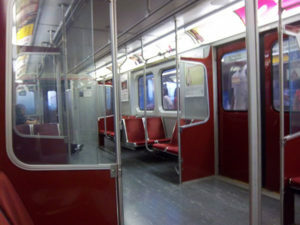 In 2008, an anonymous whistleblower came forward with information about Toronto Transit Commission employees who were allegedly involved in fraud and theft. It was only last week that four people were arrested in this case, with two more people under suspicion. According to investigators, these individuals used money from the Toronto Transit Commission (TTC) to purchase equipment that was not used for professional work. They even attempted to set up their own company in order to bid on transit work. The fraud occurred through manipulation of a TTC policy – though mechanics and maintenance workers are generally required to buy their own tools for their work, supervisors were allowed to order specialized equipment that are shared among staff. Supposedly, these individuals used this loophole to order equipment for themselves. Two of these individuals were still employees at the TTC, while three were already retired – of these last three, one was a former manager of revenue, security, and equipment maintenance. The last individual was not even an employee at the TTC. They have each been charged with various counts of theft, fraud, criminal breach of trust, possession of property obtained by crime, and conspiracy to commit an indictable offense. In total, these six suspects racked up a whopping $100,000 on the TTC’s tab. When the police looked into the stolen equipment, they found that very little of it would have actually been of use in TTC work. Though the first anonymous tip came in in 2008, investigations were not successful until more information came in last year. In recognition of how inefficient this process was, the TTC’s chief executive officer plans to establish a whistleblower policy that will safeguard against fraud from occurring in the future. Price Waterhouse Coopers, an audit firm, was also brought on to investigate more ways the TTC could be protected, and prevent public funds from being spent in such an illegitimate manner. Implementing a whistleblower culture within your own organization is easier than you think. Having an easily accessible whistleblower hotline for anonymous tips goes a long way to preventing fraud in your workplace.